Posted on March 23, 2016 by Megan V.
It all started the day Mitchell died. Actually, just kidding. It all started when “Medusa”, Mitchell’s frenemy/sort-of-girlfriend died forty years ago in San Francisco. No, it probably started back in 1666, when Mitchell’s British friend (who received a pin in Hell because of that year) died in a fire. Actually, it should probably start during Viking times, when Mitchell’s other friend died in battle. Confusing? Well, this is a book about time travel. And death. And Hell. Mitchell, being dead for four years, wonders why he died. He knew that he died because he didn’t look when crossing the street (and that kids, is why looking both ways to cross is very important), but he wonders what made him not remember. Now, he’s stuck in Hell because of it, with his every day life being an intern to the Devil’s Secretary in Hell. Amidst the crowdedness of Hell and his three best friends in tow, he learns of a time machine being stored right near where he works. And it was Medusa, after all, who gives him the idea to change his death. Along with his three friends who want to change their deaths too. But death isn’t so easily changed, as Mitchell and his friends soon find out by paying the price. I love the humor in this book. Mitchell is the typical hero who tries to make everything awkward but messes up. Hell, at least the interpretation of it, is my favorite since Hosie purposefully makes it not like the stereotypical Hell. Sure it’s overheated a lot, but other than that, it seems like a regular Earth, with the exception of the Devil’s daily tantrums and the fact that Hell’s going bankrupt. It is also well thought out. I’m pretty sure that there are a multitude of books where the hero tries to think about what would happen if a certain death didn’t happen (ex: Harry with Dumbledore), but there are few that actually go into the consequences (ex: Dumbledore would’ve still died, and instead died in a way he wanted), and I like how Hosie goes into it. Overall, if you like comedy or time-travel, I highly recommend this book. 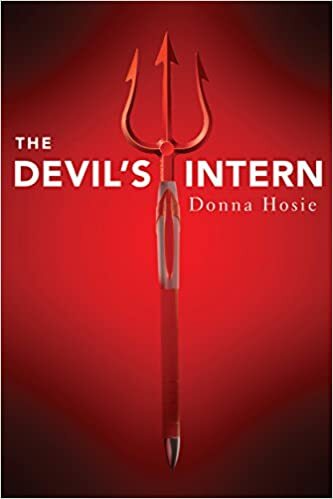 The Devil’s Intern is available for check out from the Mission Viejo Library.